Pianist Andrew Staupe graces the stage to perform one of the most influential and exciting works for piano and orchestra ever written - Beethoven’s monumental “Emperor” Concerto! The Chicago Chamber Choir and Lakeview Orchestra partner for this French foray featuring favorites by Chabrier, Poulenc, and Fauré! A Chicago Classical Review Critic’s Choice concert! Chicago Symphony Orchestra bassoonist Miles Maner makes his Lakeview Orchestra debut performing Mozart’s Bassoon Concerto! Take in Mendelssohn’s Scottish ode The Hebrides before traveling across the Atlantic for Dvořák’s epic New World symphony! Acclaimed visual artists Sarah and Joseph Belknap join us for an out-of-this-world audio/visual experience! 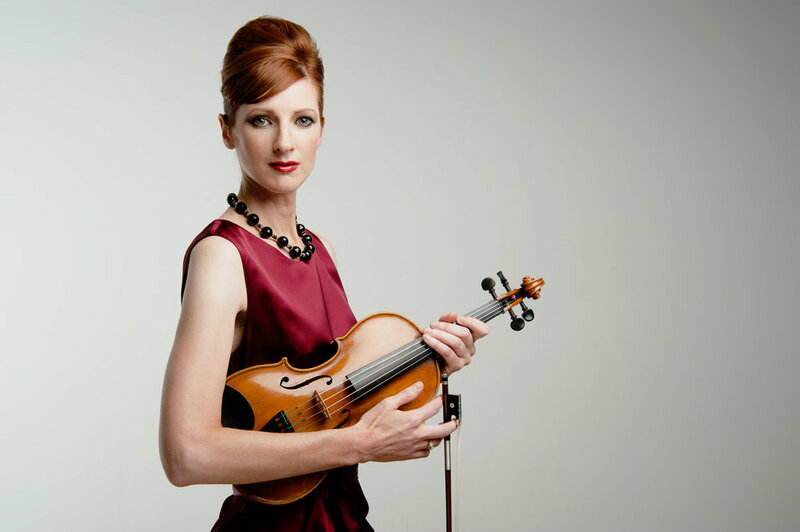 Violinist Heather Wittels of the Lyric Opera joins Lakeview Orchestra for the opening night of the 2018/2019 season and the orchestra’s first performance at the Athenaeum Theatre! Internationally renowned soprano Alexis Magarò returns for Elgar's Sea Pictures, while Smetana's captivating Vltava and Sibelius' expansive Symphony No. 5 conclude our 5th Anniversary Season. Charles Russell Roberts, trumpeter with the Gaudete Quintet and an alumni of the Civic Orchestra of Chicago, performs Bach's timeless Second Brandenburg Concerto with members of Lakeview Orchestra, and Prokofiev's Symphony No. 5 continues the celebration of our 5th Season. Continuing our 5th Anniversary Season Celebration with a symphony among symphonies, founding Artistic Director Gregory Hughes will lead Lakeview Orchestra in a performance of Gustav Mahler’s powerful and passionate Symphony No. 5. Beethoven’s Symphony No. 5 continues our 5th Anniversary Season and Tessa Vermeulen, winner of our 2018 Concerto Competition, will perform the first movement of Nielsen's spectacular Flute Concerto. Hide the Who hash — the Grinch is back! James Brinkmann, flautist with the Northbrook Symphony Orchestra and instructor at Merit School of Music, joins Assistant Conductor Josh Mather for Reinecke’s concerto. Tchaikovsky’s epic Symphony No. 5 continues our 5th Anniversary Season Celebration.